Through operational improvements and efficiencies Nectar has increased the capacity of the terminal by 20%. In managing the coal terminal, Nectar is responsible for all of the activities within the terminal from unloading of coal from the trains up to loading of the vessels including maintenance of all terminal equipment. 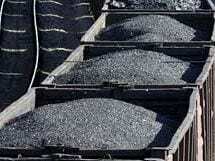 The coal is transported by train from the mining area to the port which is approximately 575 km away. 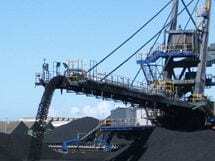 On reaching the Port, the coal is offloaded by excavators and transferred on to a conveyor system and stacked on to the stockpile by a stacker. 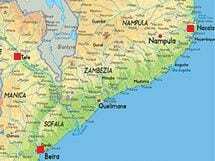 Nectar Group has been active in Mozambique ports since the 1980's. Over the years, Nectar has worked in close co-operation with the Mozambique Port Authorities and port Concessionaire companies. The terminal has 300,000 mt stacking capacity. Reclaiming of the coal is carried out by a fleet of front end loaders utilising hoppers and conveyor systems transferring the coal to two ship loaders on the quayside. The terminal has a design throughput capacity of 5 million tonnes per year and has a vessel loading capacity of 2,400 metric tons per hour. With Nectar’s highly skilled and dedicated technical and management team, the Group has successfully exceeded its performance targets since the terminal started operating in 2011. The facility now includes a modern terminal management system and one of the most advanced water treatment systems in Mozambique which is used for dust control during the operation. In addition to this, Nectar has also formed a local company employing and training around 180 personnel to international standards. 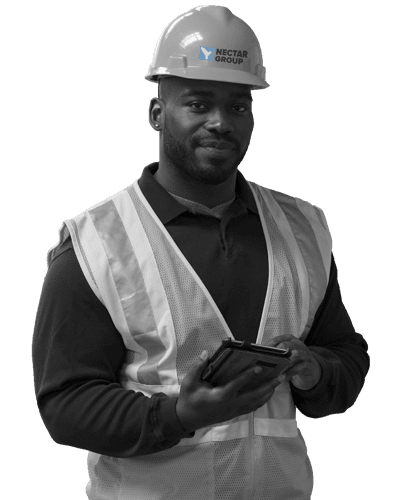 The service provided by Nectar as the Terminal Operator has the same quality assurance and performance guarantees as other activities of the Group.